Derby Modern Flotation System with Fast Free Shipping! 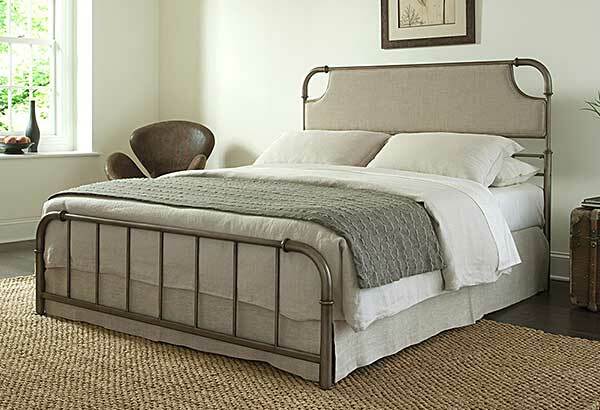 This neutral toned upholstered bed blends classic and chic style that will fit into any décor. 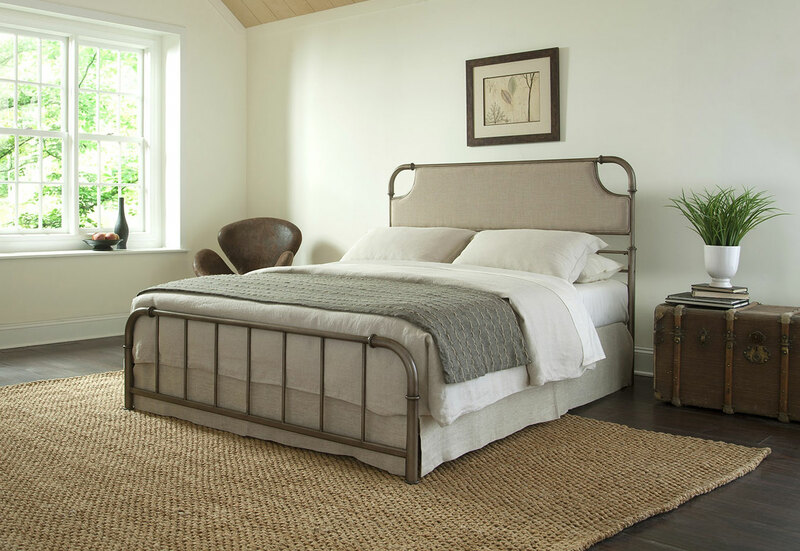 The Aged Iron finish paired with the Sandstone upholstered headboard complete this timeless design. The Derby Flotation System includes: Headboard, Footboard, Frame, Support Rails, 8" deep plush-top soft side mattress and 9" foundation for a complete modern flotation system. Available in Queen, King and Cal King sizes. The Derby Flotation System Includes: headboard, footboard, side rails, premium full depth 8" mattress and foundation for a complete flotation system. The Derby Upholstered Bed Includes: headboard, footboard, side rails. (Does not include mattress).